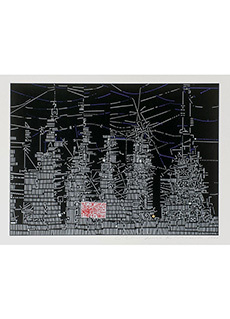 City 310 by Risaburo Kimura. 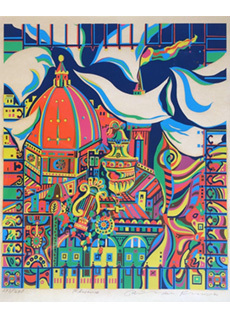 Dates to 1975. 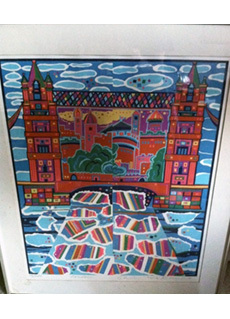 Limited edition numbered 14 of 50. 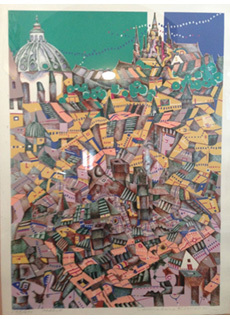 Pencil signed and titled by the artist. 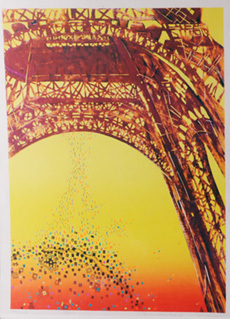 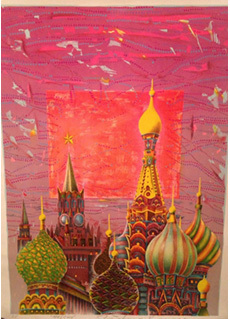 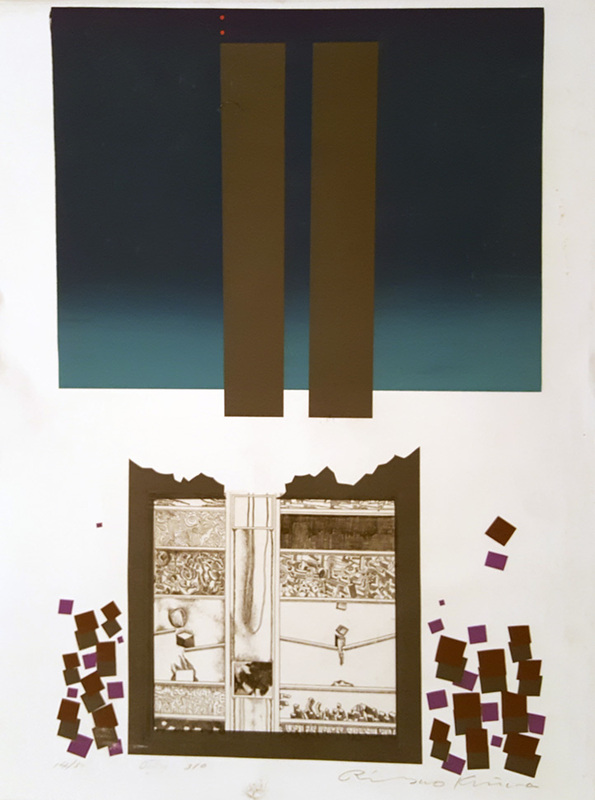 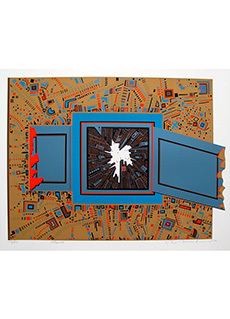 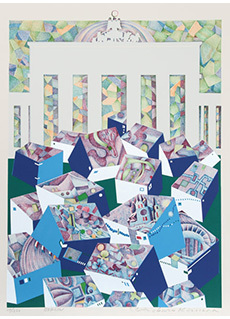 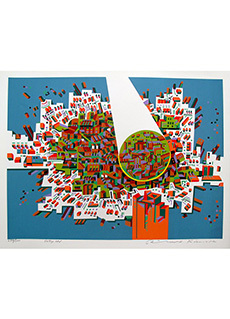 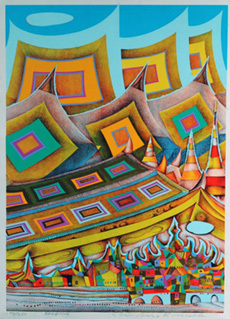 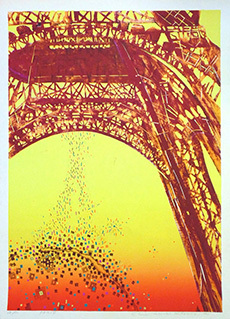 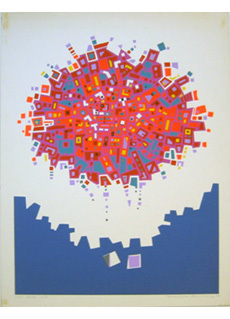 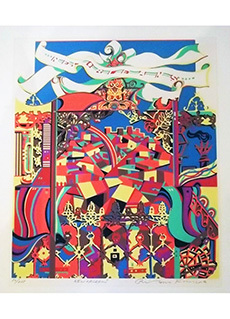 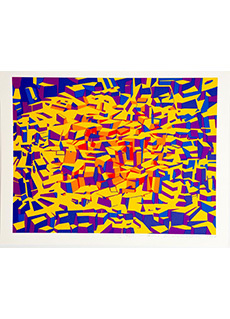 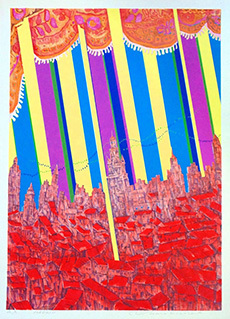 Prophetic mixed media serigraph which can be interpreted as a collapse of New York's Twin Towers. 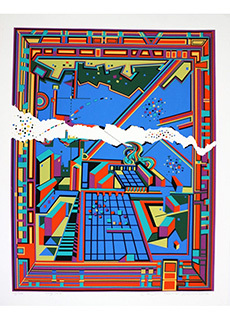 Condition: Good. 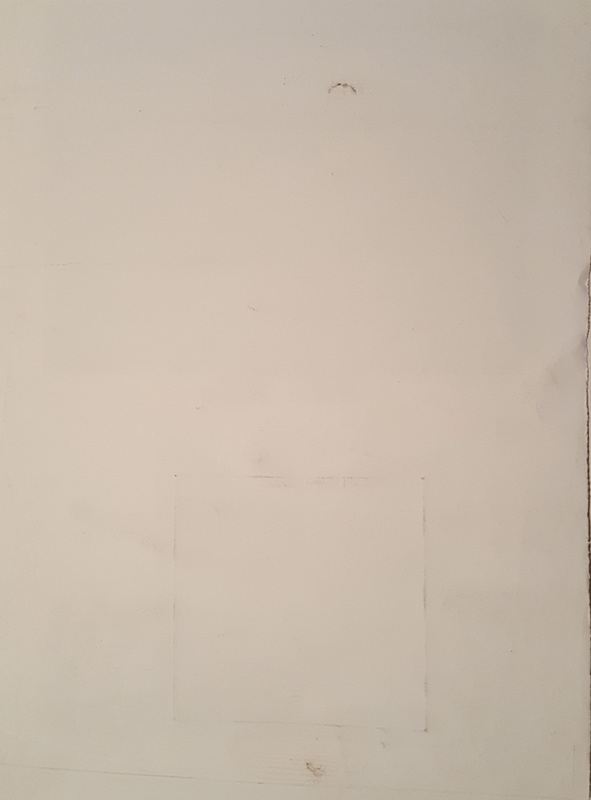 There is a small scratch at the top within the image, as well as some creases in the paper.